The War Remnants Museum is a three-storey building that houses collections of artilleries, armories, aircrafts, unexploded ordinances, bombs, tanks, pictures, etc. It used to be called the “Exhibition House of US and Puppet Crimes”, and then renamed to “Exhibition House for Crimes of War and Aggression”, then finally “The War Remnants Museum” after the diplomatic relations with the US. I was amazed by how they have preserved and valued the history despite the horror and fright that it caused in their lives. 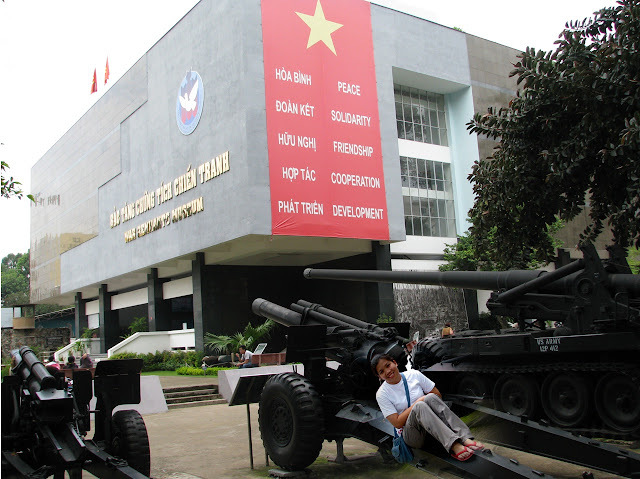 As for them, the museum is a testament of how their elders fought for the future generation and for the young ones to value the life that they enjoy today -- it made them the proud Vietnamese of today. Museums are available at many places. Though best resume writing service 2018 services recommended people to visit War Remnants Museum. It is wonderful museum. People can see many things in this museum. It is said that there are many attractive models displayed in this museum.